While other neighborhoods have seen trends come and go, homeowners in the Hillsboro-West End area have known for years their zip code was on to something. 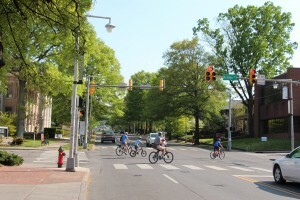 Backing up to the far end of Vanderbilt University, this prime urban neighborhood is known for its beautiful homes and tree-lined streets in the middle of several commercial districts. Spend an afternoon wandering through gorgeous Cenntenial Park, browsing fashion statements in Green Hills, or taking a voice lesson on music row. This pedestrian and bike friendly neighborhood offers simple city convenience with a view. While other neighborhoods have seen trends come and go, homeowners in the Hillsboro-West End area have known for years their zip code was on to something. Backing up to the far end of Vanderbilt University, this prime urban neighborhood is known for its beautiful homes and tree-lined streets in the middle of several commercial districts. Spend an afternoon wandering through gorgeous Cenntenial Park, browsing fashion statements in Green Hills, or taking a voice lesson on music row. This pedestrian and bike friendly neighborhood offers simple city convenience with a view.